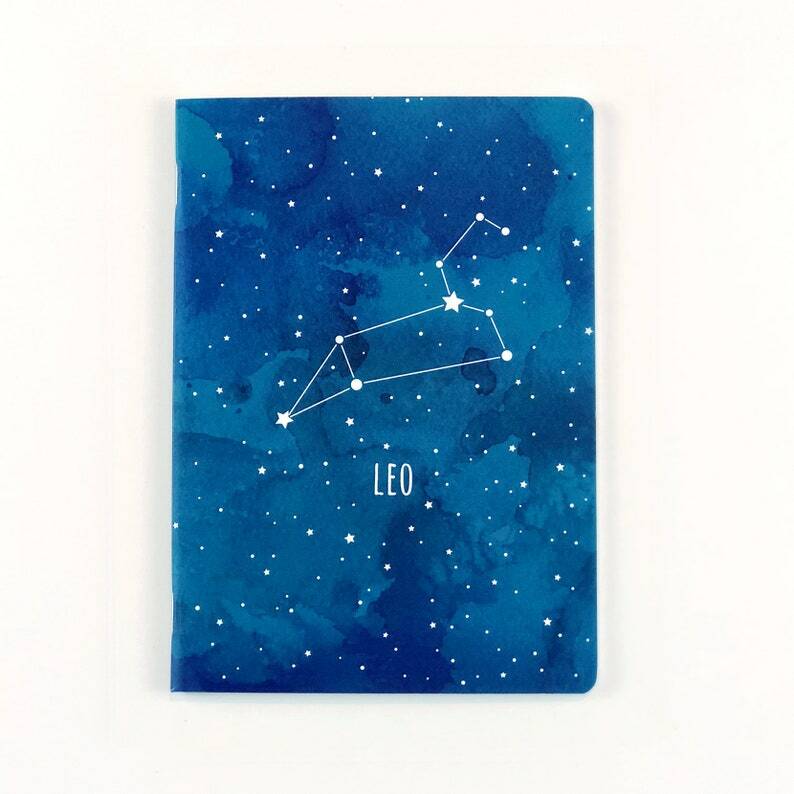 Leo constellation journal. Choose between dot grid, lined, or plain blank pages. 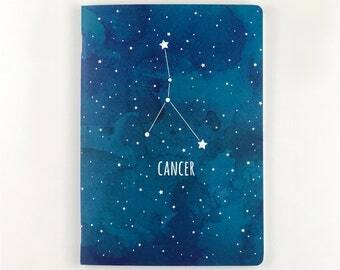 This beautiful little journal shows the Leo sign constellation in the front page and an inspiring quote on the back that any Leo will identify with: "Why Fit In When You Were Born To Stand Out." 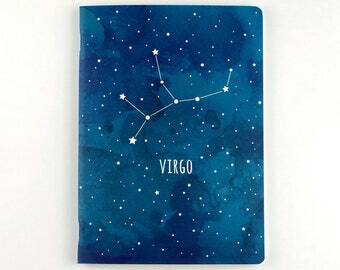 Leo people are natural stars with strong personalities. Give them a thoughtful gift that is both beautiful and practical. Perfect size to carry inside your purse. And it comes in a nice reusable cotton bag, READY TO GIFT! - PACKAGING: Gift Ready! Comes inside a protective cello sleeve and reusable cotton bag. 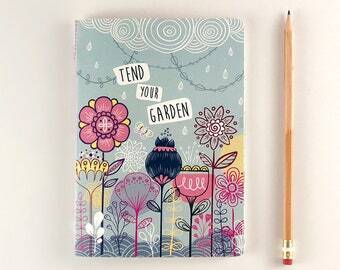 beautiful little journal. 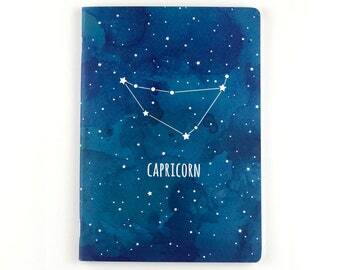 love the capricorn star constellation print on the front!! perfect for a gratitude journal. thank you!! Please pay immediately after you have made a purchase! We will only ship your items or start creating your custom order, once we have successfully received full payment. - Custom orders cannot be canceled once first proof has been sent. - Merchandise must be returned in the same condition as it was received. Return shipping charges are non-refundable and are full responsibility of the customer. - Customers are responsible for the information they provide us regarding shipping address, or any applicable information for customization. - International customers are responsible for any customs duties and must accept any delays caused by such processes, since it's out of our control. The time I need to prepare an order for shipping varies. For details of production and shipping times, see individual items. USA orders ship via First Class Mail with option to upgrade to Priority or Express Priority. International orders ship USPS First Class. All printable orders are sent via email only. No physical item will be shipped. We welcome wholesale inquiries! Don't hesitate to contact us if you're interested in carrying Lucy Loves Paper products at your store!